NEW YORK, September 17, 2018 – It’s hard to imagine a 13-year-old belt out powerful vocal runs, but that’s what secured Lynn Hayek’s title as the first winner of The Voice Kids Arabia in 2016. Today at 14, the Lebanese songstress still boasts power vocals that defy her years and brings technical melisma to a song. Out today, “Party Language” (https://www.youtube.com/watch?v=DRuPzaMu6iQ), is the budding star’s latest single and debut into the U.S. market. 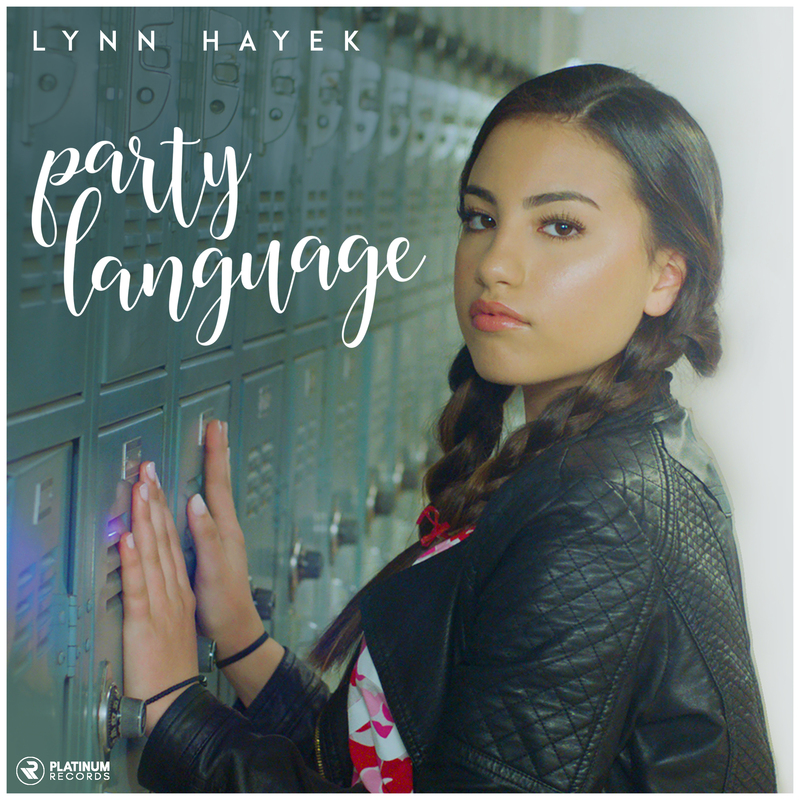 Produced by Grammy Award winner Oak, “Party Language” features a hypnotic Arabic maqam reminiscent of Lynn’s background paired with English lyrics that can be likened to a contemporary Britney Spears’ “Baby One More Time.” The video’s schoolhouse setting becomes a fitting backdrop to both the song and September beginnings; it marks Lynn’s first English song but not her first major coup. In 2016, millions in the eastern hemisphere fell in love with a then 13-year-old Lynn Hayek during her reign as a contestant on The Voice Kids Arabia. Shortly after, she released her debut video “Am Bi’akbar” (“I Am Growing Up”) which has since garnered over 10 million views on YouTube. Originally from Mina, the port area of Tripoli, Lynn Hayek grew up by the sea. “I haven't studied music, but the sound of the sea and the streets are music to me,” she says in the article by The National. Despite receiving no musical training, Lynn’s talent boasts an incredible ability to sing technically difficult songs. Her voice carries a warm tone that is reminiscent of soulful divas. Her inspirations mirror that charisma and include traditional Lebanese performers such as Melhem Zein, and kindred stars propelled under the spotlight at a very young age, such as Ariana Grande. Lynn is currently working on her second Arabic song ‘Bokra Tareekh’ with a global message for peace. To launch the record, Platinum Records has partnered with Generations for Peace and MBC Hope as part of a youth empowerment campaign. The “Narratives for Peace” event focuses on reframing the conversation around how the general public discusses peace and peace-building. Through a collaborative spirit with the Creative/Arts/Entertainment/Marketing/Advertising/Media and Private sectors, the initiative aims to build a much more energetic and dynamic perspective on contemporary issues. On Friday, Sept. 21 (International Day of Peace) Lynn will perform the song live at the United Nations in New York alongside gospel singers Stanley Brown and Stephanie Fisher. ABOUT LYNN: Lynn is signed to Platinum Independent, a music label headed by Taymoor Marmarchi, Chairman and Youdy Sanon, General Manager. The 13-year-old was the first winner of The Voice Kids Arabia in 2016. Lynn, whose mature vocals and enviable range defy her years, has never had any formal training in music. Although the burgeoning star made significant headway in her native tongue, her exquisite talent proved to extend far beyond. After discovering that Lynn had a passion for western music she signed to Platinum Independent (a division of Platinum Records) which is distributed by ADA Warner the immediate home to launch her US career.